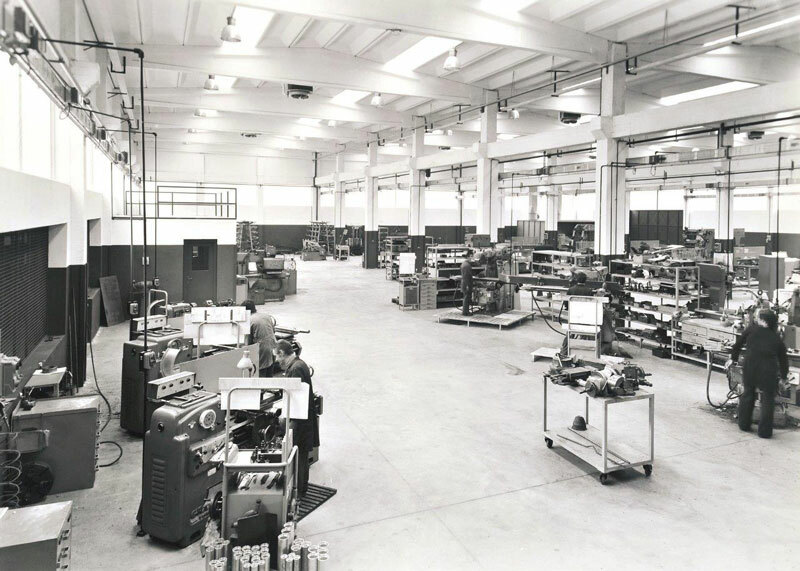 It all began on a very cold Friday morning in 1963 – the first day of February, to be exact, a Friday morning, was the moment OMET was born… Then there was a garage used as the first workshop. 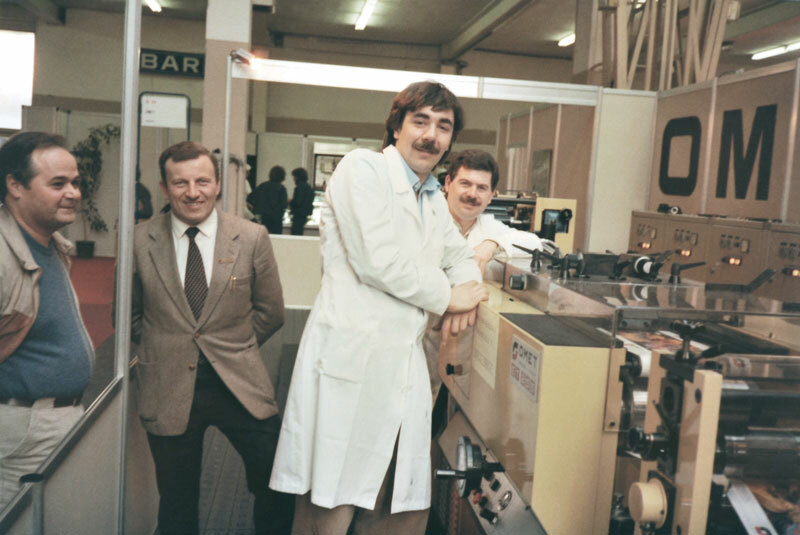 There were friends helping out at night to build the first tissue machine and the first label machine and a great ‘passion for innovation’; there was curiosity, an attitude of ongoing study, exploration, and investigation of the environment to capture trends in the market, understand the clients’ specificities and manage to create the most appropriate solutions. 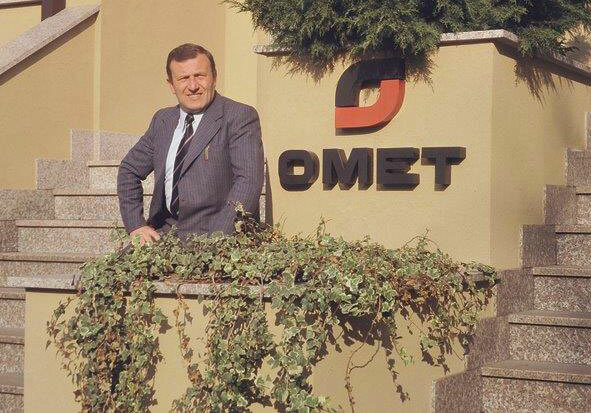 In the seventies of the twentieth century OMET grows thanks to the consent of an increasing number of customers who appreciate the quality, the level of innovation and reliability of its machines. For this reason, OMET builds a new plant and continues to invest in people and technology. The seventies are one of the most intense periods in terms of the communion that is created between those who work in OMET. The early 80s are the years for OMET affirmation as an organized and structured company. Once again, the space available is no longer sufficient. We need to think big. Were then created the premises for the construction of the new complex of Via Polvara that allowed to split the two divisions and give new impetus to the growth of each business area. 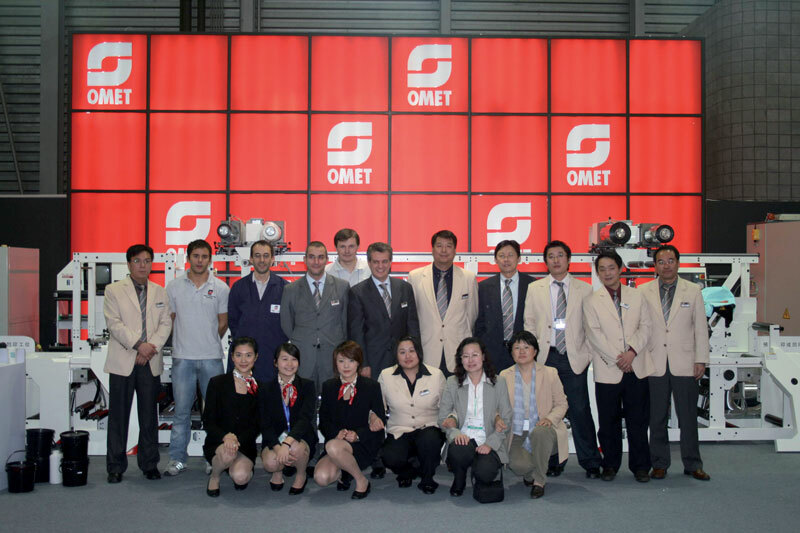 During those years OMET founds subsidiaries in Germany (OMET Nord GmbH), Spain (OMET Ibericas) and China (OMET Shanghai) and establishes partnerships with agents in every part of the world. 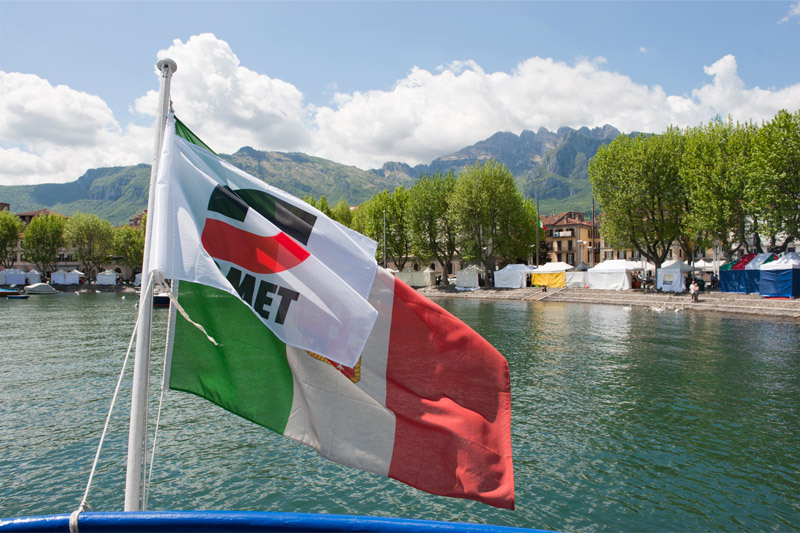 The Systems in Motion division of OMET experiences a strong growth in the 90s establishing itself as market leader in Italy for special rollers systems while increasing its presence in Europe. 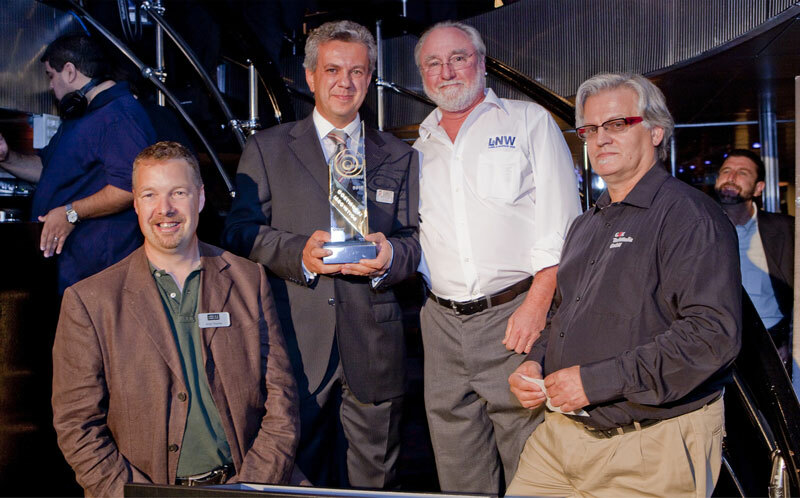 During the 2000s OMET is awarded as the most innovative company in the world in the field of flexographic printing and receives the Confidustria Award for Excellence. Contemporarily OMET begins a collaboration in China, firstly with the aim of selecting suppliers of finished products and components, and in 2007 by starting to produce locally. The evolution in time of the Chinese Division of OMET Systems in Motion leads to the founding of Suzhou OMET Mechanical Co. Ltd in 2007. The company is responsible for the sales of both printing presses and Tissue Converting machines and since 2012 has its own Showroom and Technology Center with machines available for testing and customer demonstrations. OMET’s desire is to hold firmly the leadership in the market where it operates that was achieved after years of arduous pioneering . Hence, the company’s mission is easy to trace: find always new ways to improve customers’ production methods, offer state-of-the-art technology capable of increasing the efficiency of the processes, rely on the most robust material to enhance machines reliability and durability, and seek to achieve the best quality output. In one word: innovation!